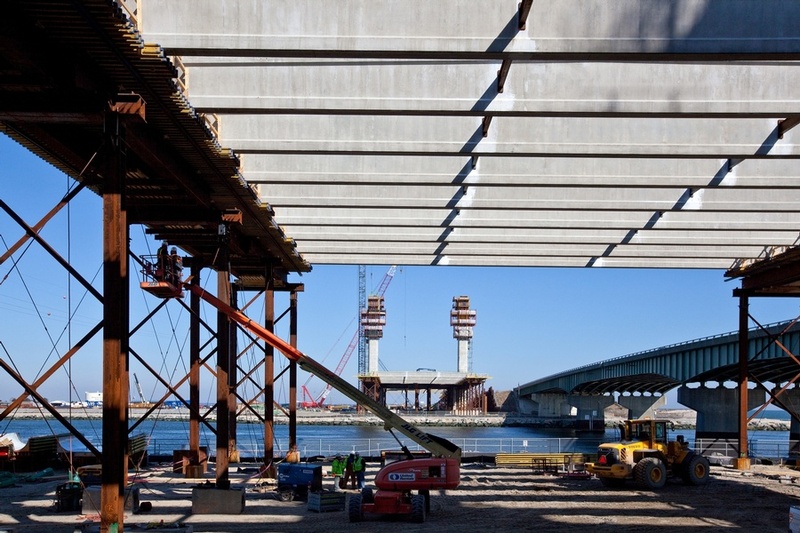 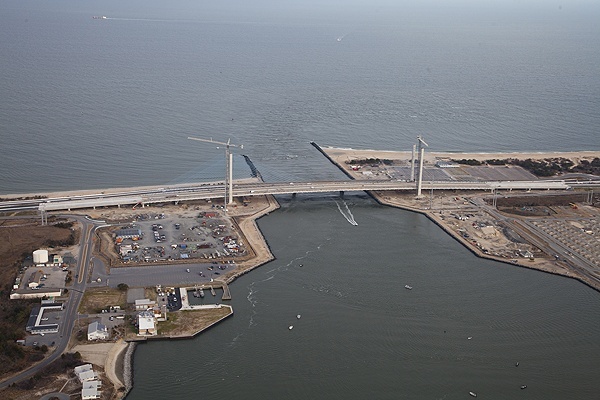 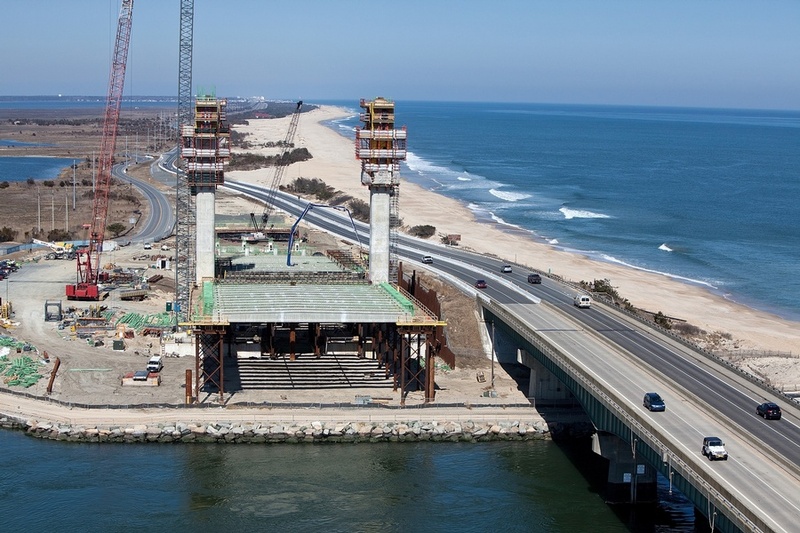 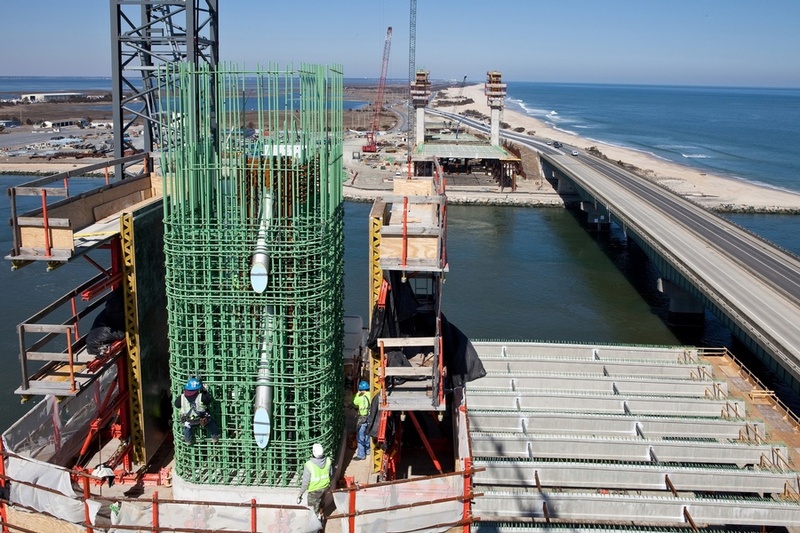 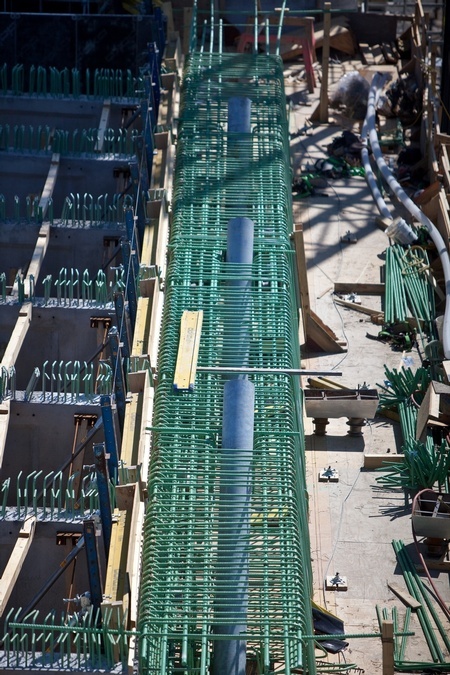 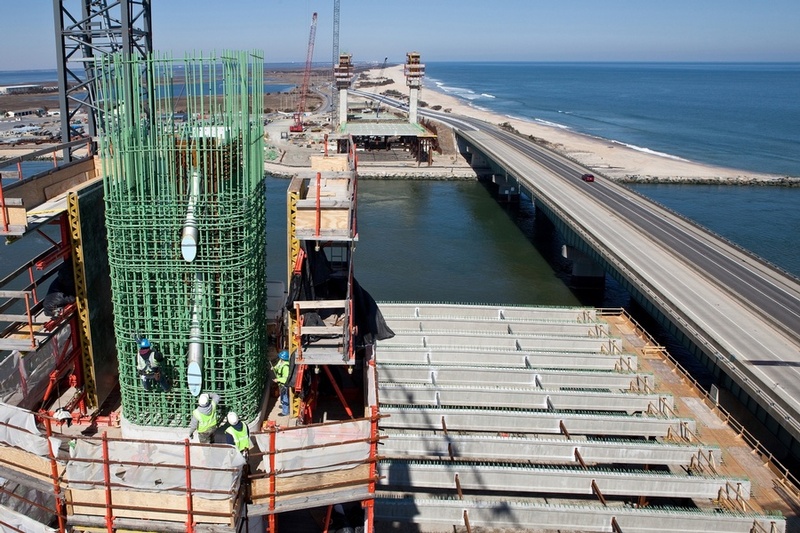 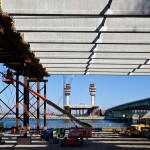 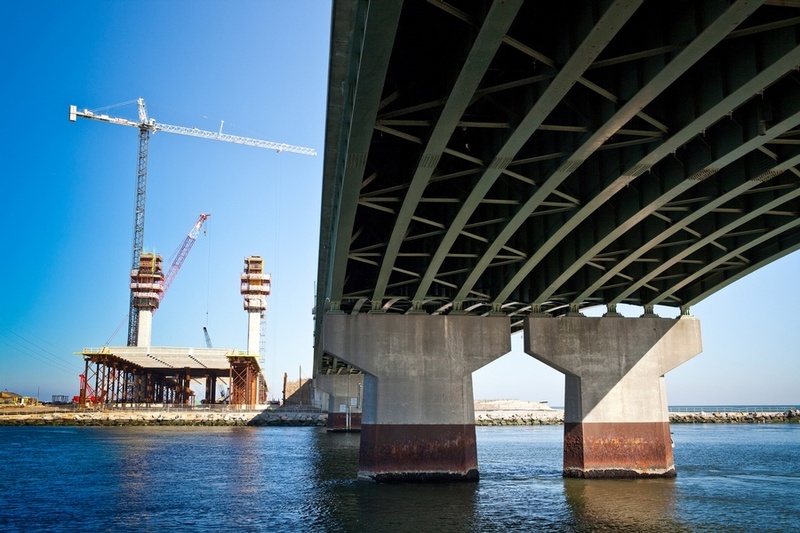 A 950 ft. clear span over the inlet, which is constructed on falsework for all portions of the bridge over land: this construction method incorporated the falsework into the design of this structure as the deck casting and cable stay stressing all occur on the falsework system. 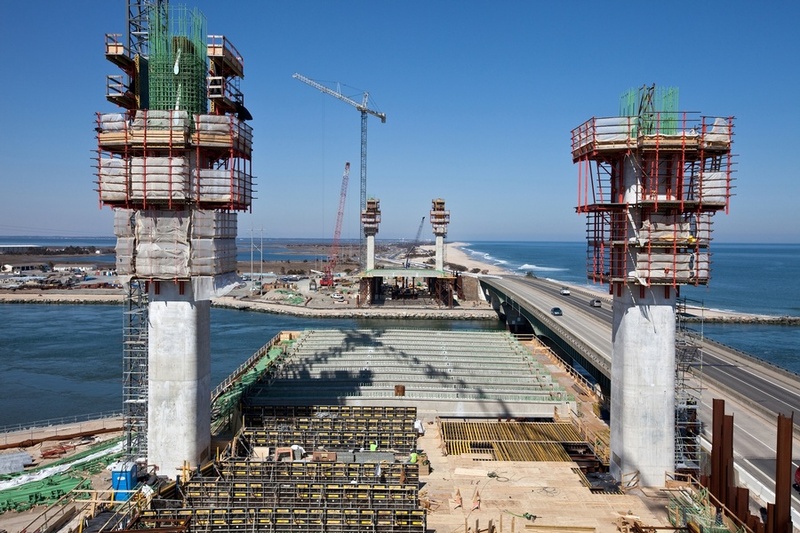 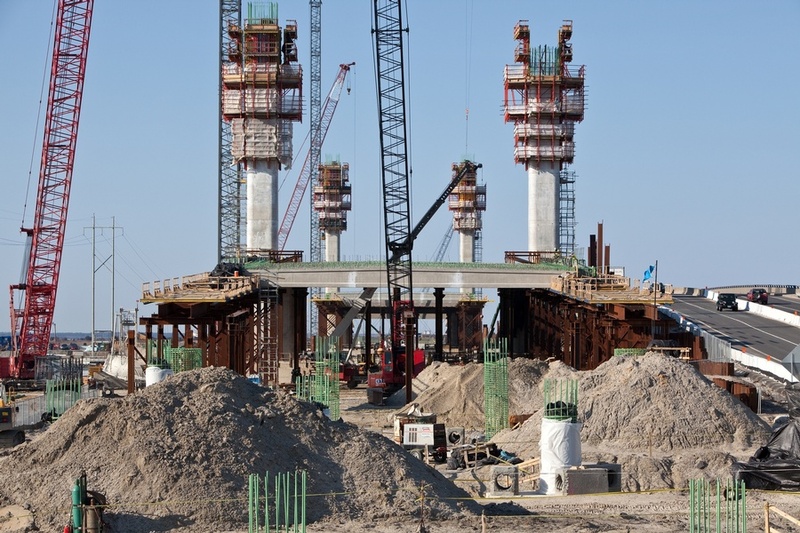 The $150M Indian River Inlet Replacement Bridge is 2,600 ft. long, including a 950 ft. clear span over the inlet and two side spans of 400 ft. each. 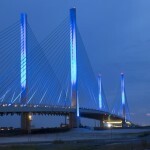 The new bridge has a minimum 100 year design life. 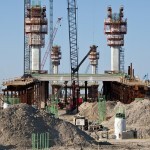 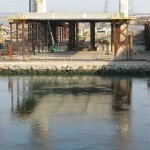 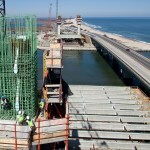 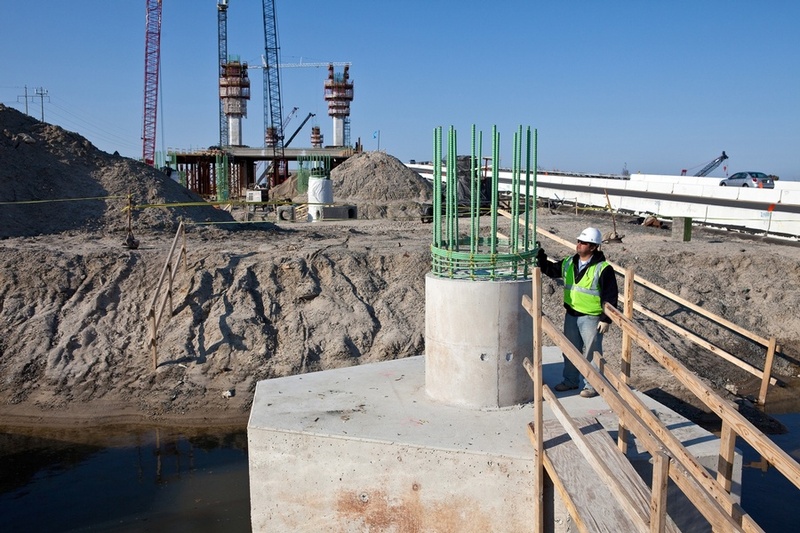 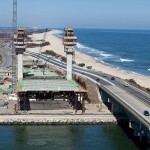 All piers for the new bridge are placed outside of the inlet. 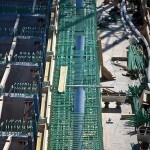 The foundations are supported on 36 in. 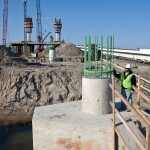 square piles. 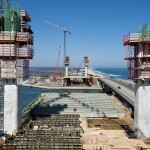 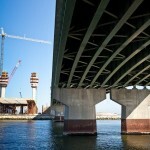 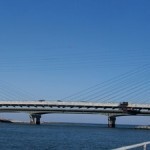 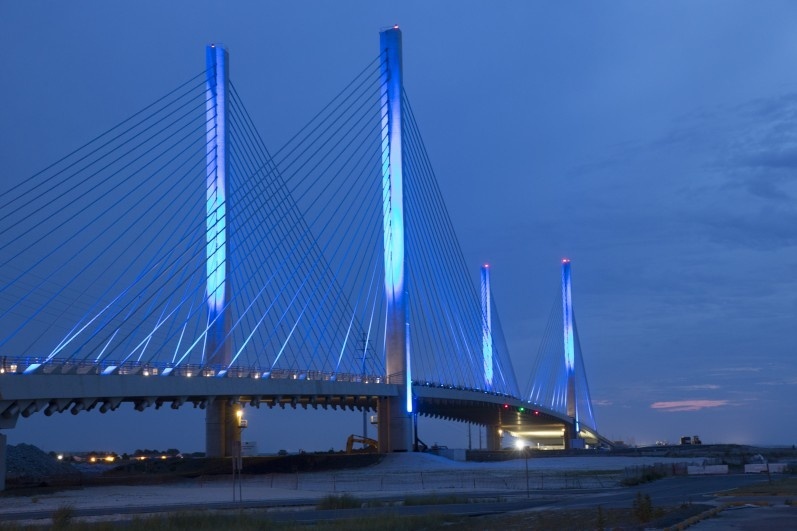 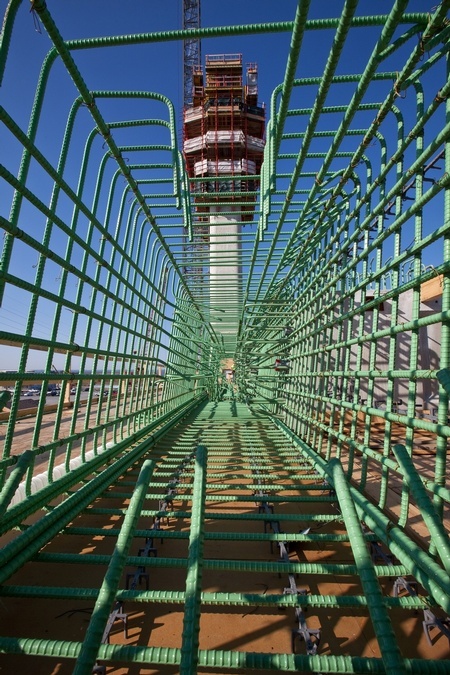 The bridge has two 240 ft. high towers / pylons on each side of the bridge with single plane cable-stays. 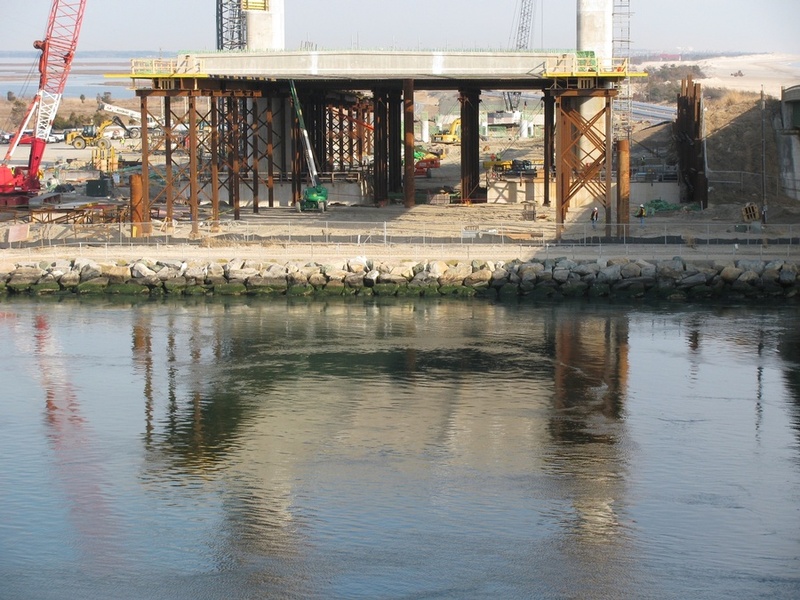 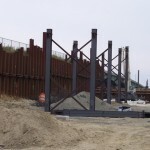 The minimum vertical clearance was increased from the existing 35 ft. to 45 ft. over the navigational portion of the inlet. 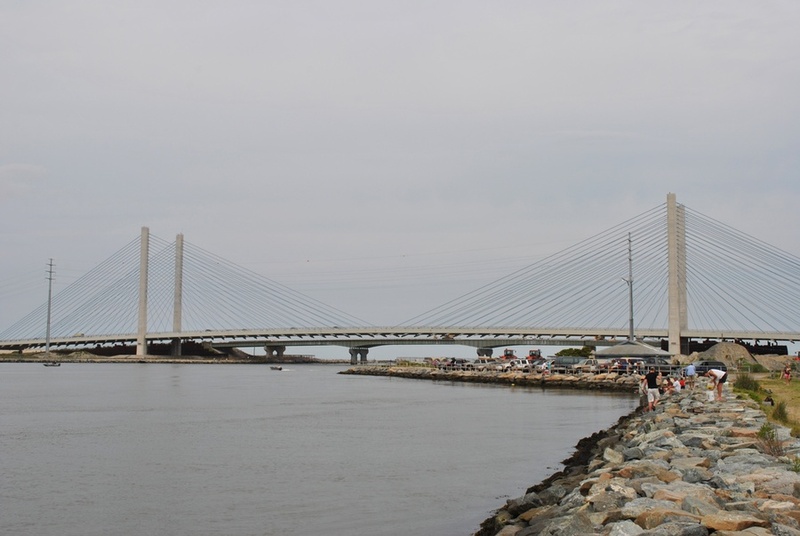 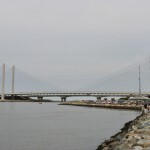 The bridge has two 12 ft.-wide travel lanes, a 10 ft.-wide outside shoulder, a 4ft.-wide inside shoulder in each direction, and one 12 ft.-wide sidewalk is accessed from the east side of the bridge. 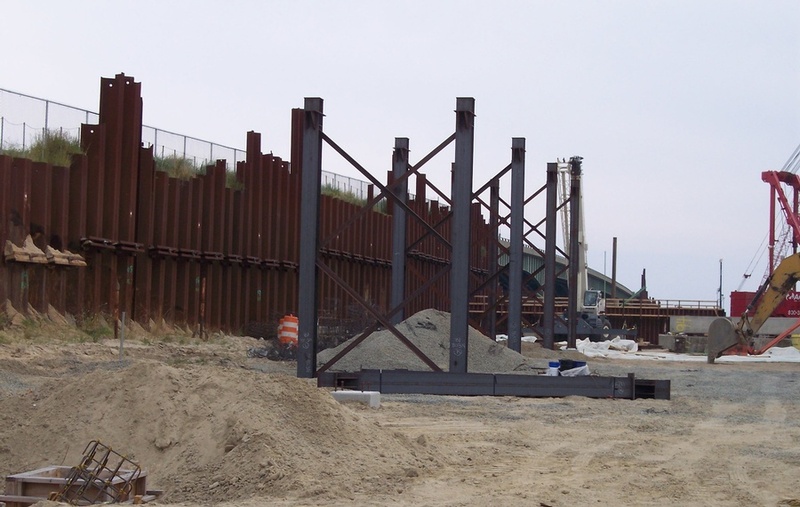 The reduced embankment limits resulted in the elimination of massive embankments and provided an open view of the Atlantic Ocean. 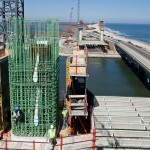 FINLEY provided preliminary bid design, independent peer review, and construction engineering. 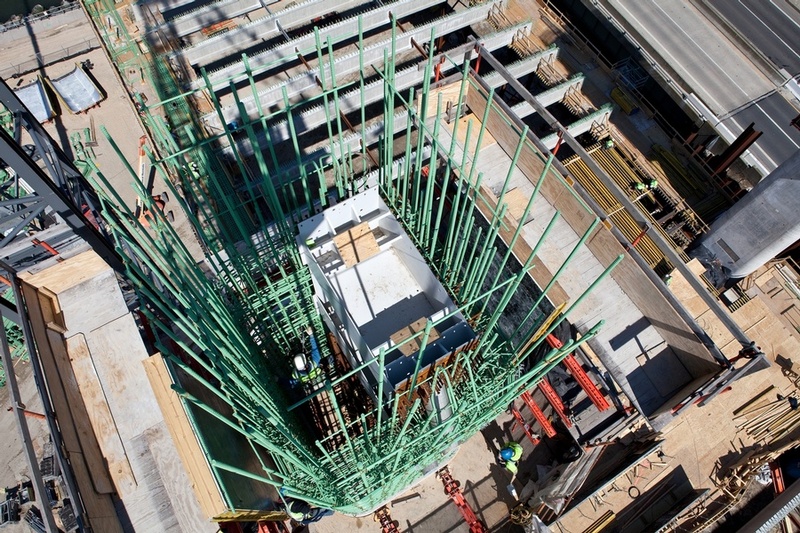 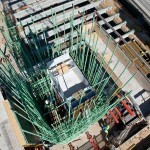 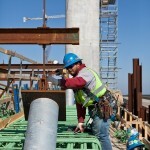 Construction engineering services included design of erection equipment & falsework and off-site technical assistance. 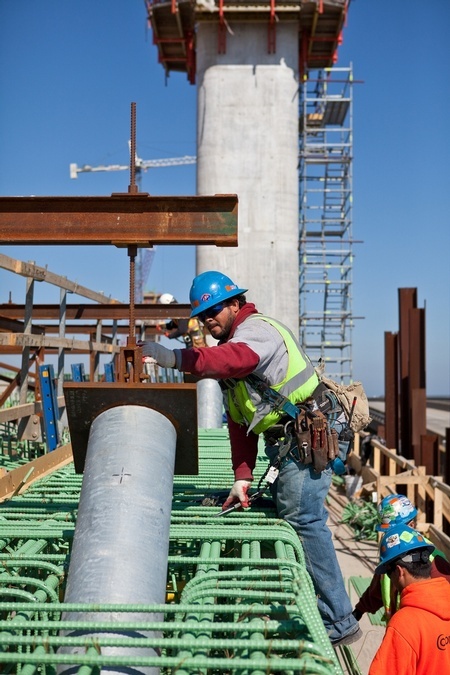 The construction sequence cast the back spans on falsework which significantly sped up construction work as work could be completed simultaneously. 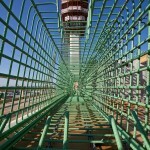 Independent peer review was performed for the traveler.